The standard advice given to emerging-market countries often is as simple as it is challenging to follow. The International Monetary Fund (IMF)—reflecting the consensus view of leading economists—has long argued, for example, that emerging markets should avoid fixed exchange rates and allow their currencies to float, even at the risk of volatilities that could harm trade, access to credit markets, and the ability to repay debts. Another factor in the “fear of floating,” a term first coined by Calvo and Reinhart, is that the currency depreciation that results from floating exchange rates fuels inflation. To counter that concern, the IMF and other economists counsel emerging economies to adopt strict inflation targeting, mainly by raising interest rates. For several years, Russia has followed that advice, with some success. But now, following almost four years of falling prices, it faces new challenges driven by external shocks and rising exchange rate volatility—and fears of a return to inflation. Russia offers a revealing case study of how countries might respond to such challenges. Market surveys by the Russian Central Bank have found that, despite the recent record of low inflation, inflation expectations remain so strong as to exert pressure on the bank to maintain tighter monetary policy, imposing costs on the real economy. To alleviate this pressure, the central bank could consider deviating temporarily (until external risks subside) from its current policy framework and adopting a dual system combining elements of both inflation targeting and managed floating exchange rate regimes. History shows that inflation targeting does not preclude such flexibility, as long as policy maneuvers are well justified and clearly communicated to the public. Figure 1 shows the ruble’s volatility in the last four years, mainly due to oil price declines and Western sanctions. After enjoying appreciation and a period of relative stability in 2016–17, it depreciated again in April and August of 2018 in response to a new round of US sanctions. But by maintaining a contractionary monetary policy (the key policy rate was raised to as high as 17 percent in December 2014) and communicating its policy goal of 4 percent inflation, the Bank of Russia brought CPI inflation down from 12.9 percent in 2015 to 5.4 percent in 2016 and 2.5 percent in 2017. Inflation is expected to finish this year at 3.8 to 4.2 percent. Public and market expectations of a new bout of inflation pose a challenge to the central bank’s ability to target inflation at 4 percent. Because Russia depends on imports for consumer and industrial goods, any depreciation of the ruble would produce a rise in the general price level. According to the Bank of Russia’s own estimates, a 10 percent drop in the nominal effective exchange rate pushes annual inflation up by 1 percentage point over the next three to six months. The Russian Central Bank conducts monthly surveys of which information respondents use to determine their expectations. A survey in October 2018 found that respondents identified changes in the ruble’s exchange rate as the second most important factor after changes in petroleum prices. Thus, the ruble’s recent weak performance seems to have affected people’s attitudes. It would be logical to conclude that the recent weakening of the ruble, and expectations of further weakening, could fan people’s concerns over inflation in a way that affects their future inflation calculations. The survey supports that theory. Despite an initially declining trend in their survey responses, figure 2 shows that a large percentage of people responding during July 2017–October 2018 still expected inflation to overshoot the central bank’s target by year-end and also that the ruble will weaken in relation to the dollar in one year’s time (there is a certain degree of correlation between the two answers), even though inflation was stabilized in that period. In addition, when the ruble depreciated after new US sanctions in April 2018, both devaluation and inflation expectations rose sharply. One can conclude that instability in the foreign exchange market can lead to heightened devaluation expectations, even though depreciation has already occurred and absorbed the shock. This in turn leads to higher inflation expectations. One factor in these perhaps misplaced fears would appear to be that people who historically experienced a rise in inflation following sharp devaluations have trouble leaving that experience behind. The challenge for the Bank of Russia is that these expectations might become self-fulfilling. To try to bring these expectations down, the central bank may have to continue or increase a high key policy rate, even though such a policy would impede economic growth. What are the central bank’s policy options? Abandoning inflation targeting completely and returning to a fixed or managed floating exchange rate would undermine the central bank’s credibility. But a carefully crafted and well communicated dual system that combines elements of both inflation targeting and managed floating exchange rate regimes can deal with the elevated expectations problem while minimizing other costs associated with exchange rate volatility, such as financial difficulties stemming from currency mismatches and impediments to trade and investment in the face of uncertainty. Israel, for example, used a variant of such a system in the 1990s, when it announced inflation targets for the upcoming year and kept a crawling band for the shekel’s exchange rate (where the upward slope of the crawling band was preannounced and was equal to the difference between the inflation target and projected inflation rates of trading partners). The dual system can be adopted temporarily until inflation expectations are anchored and uncertainty in the external environment diminishes (i.e., when the goals of the managed floating regime begin to contradict the goals of inflation targeting). The Bank of Russia should also communicate that the ruble’s current weakness is a result of temporary external pressures and that it is as likely to appreciate as it is to depreciate in the future. The central bank might also consider keeping inflation at 4 percent at all costs even after sharp depreciations, hoping that eventually the link between devaluations and higher inflation might erode. Such a “tough” strategy could lead to lost output and employment (and hence may need to be abandoned if costs exceed benefits), but it would have the potential of reducing the need for tighter monetary policy in future instances of instability in the foreign exchange market. 1. A tighter fiscal policy in 2017 and strengthening of the ruble in 2016 also contributed to the downward trend in consumer price index (CPI) inflation. 2. Information and analytical material, Consumer Price Indices, No. 12, December 2017, Bank of Russia. 3. Monetary Policy Report No.3, September 2018, Bank of Russia. 4. Monetary Policy Report No.3, September 2018, Bank of Russia. 5. Inflation Expectations and Consumer Sentiment, No. 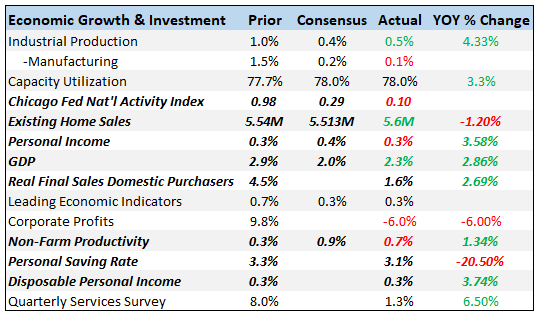 10, October 2018, Bank of Russia (Measuring Inflation Expectations and Consumer Sentiment based on Population Surveys, Brief Report for the Tenth Survey, October 2018, Wave 72, inFOM). Statistical data were downloaded from the Bank of Russia on November 19, 2018. 6. Gil Bufman, Leonardo Leiderman, and Meir Sokoler, 1998, “Israel’s Experience with Explicit Inflation Targets: A First Assessment,” in Inflation Targeting: Lessons from the International Experience, ed. Ben S. Bernanke, Thomas Laubach, Frederic S. Mishkin, Adam S. Posen, Princeton University Press.